“A new school, probably the only indigenous one in the United States” is how the architect Donald MacDonald described Bruce Goff and Herb Greene’s influence on the University of Oklahoma School of Architecture from 1947 through the 1960s. The famous architects transformed the ways architecture was learned, taught and practiced, creating a uniquely American architectural style now represented in an archive at the University of Oklahoma Libraries and displayed in an exhibition in Bizzell Memorial Library. 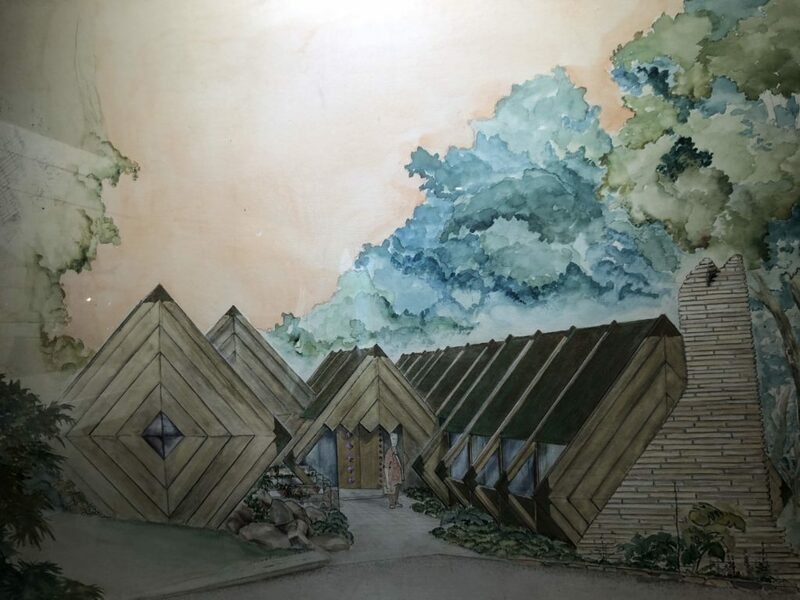 Renegades: Bruce Goff and the American School of Architecture at Bizzell features selections from the American School Archive, including drawings and virtual tours of three residences designed by Bruce Goff, rendered by Skyline Ink of Oklahoma City. The exhibit is at the Bizzell Library on the OU campus in Norman and runs from September 22, 2018 thru July 29, 2019.